New product concepts, technologies and innovations were shown off May 15-16 at the New York Society of Cosmetic Chemists (NYSCC) Suppliers Day held at the Javits Center in Manhattan. This two-day event featured beauty industry suppliers of raw materials, ingredients and cutting-edge technology. Here are three noteworthy technologies to keep your eye on as new personal care products come to market. Healthy well-being continues to be a global standard lifestyle, including the desire for healthier skin. The newest discoveries in skin health are the studies of skin’s microbial layer, its environment, and what it needs to function at its healthiest condition. A new area coming to light in personal care products is prebiotics, not to be confused with probiotics. To clarify why our skin needs prebiotics to be optimally healthy, we must consider the microbial layer of the skin. The microbial layer is the first and outermost layer of our defense against aggressive environments. On the microbial layer is an ecological community of sorts called the microbiome. The microbiome is the biofilm for the microbial layer and is the body’s first protection. In fact, babies begin to acquire their microbiome at birth. All parts of this microbial community need to keep each other in balance to be healthy and strong. What’s come to light is that our microbiome changes through life even as we encounter people and different environments, and through aging. An unbalanced skin microbiome leads to higher sensitivity, skin disorder, barrier disruption, and eventually, premature aging. 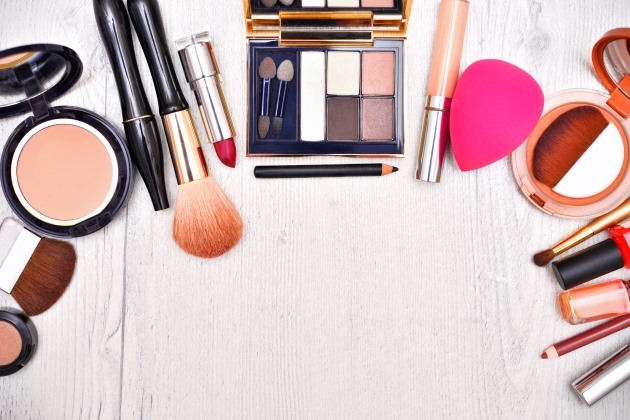 Cosmetic products therefore need to respect the microbial balance and support this microbial barrier. Gobiotics, featured for the first time at Suppliers Day, launched with a collection of natural plant ingredients, the preBiulin Serie. The product is derived from chicory and agave, with beneficial prebiotic power proven through IN-VIVO and clinical tests. Look for products being launched in skin, hair, and personal care categories. Overuse of digital engagement is not universal for millennials and Gen Z only; it’s an engagement at every demographic level. "We're all being exposed," according to Lauren Deldotto, marketing director North America – personal care division at Gattefossé. Not only are we starting to see evidence of eye strain and eyesight disorder with digital use, we’re also discovering digital screens’ impact on the skin from LED light. Seeing the lack of studies on exactly how artificial visible light emitted from screens affects the skin, Gatefossé, leaders in innovative technology, took a leap by creating structured studies to discover how digital screen use contributes to skin damage. To create a fair evaluation, Gatefossé constructed a patented device to emit energy and to mimic the long-term exposure to digital screens. The exposure was for eight months, forty hours per week—the study was for long-term, not casual, exposure. The testing results, insights, and discoveries are substantial. To set up their standard, Gattefossé evaluated eight different digital devices, listed below, and documented the light emitted from them. Currently, blue light emittance has been the focus in the beauty industry, but this only represents a part of the picture. To Gatefossé’s surprise, they discovered that it’s not just blue light that is emitted from the screens; in reality, there is a release of blue, red, and green LED light. Why the need for these types of studies? Our extensive use of digitals. The latest data from GlobalWebIndex show that the average Internet user now spends around six hours each day using Internet-powered devices and services – that’s roughly one-third of their waking lives. We’ll spend a staggering one billion years online in 2018. Almost one million people started using social media for the first time every day over the past year — that’s equivalent to more than eleven new users every second. As part of this growth, we’re seeing larger numbers of older users joining social media too. On Facebook alone, the number of users aged 65 and above has increased by almost 20 percent in the past twelve months. What does all this overuse mean for our skin? Decreased energetic development of cells, causing quicker cell aging. Cells’ gene damage like that of UV-ray exposure. UV rays affect 10 percent of genes, while screens affect 8 percent of genes. Decreased communication properties of the fibroblasts. To help combat the effects from digital LED light, Gatefossé recently launched EnergiNius technology. The components of the technology are derived from Indian ginseng and are sourced in the U.S. in Oregon. Indian ginseng can also be found in popular supplements. "Our skin in day-to-day life is bombarded by pollution and other stress factors," says Joel Mantelin, vice president, biofunctionals business development at Ashland. Their newest launch, SeaStem, answers the need to combat skin stress with inspiration from the ocean. Giant sea kelp within the SeaStem product helps protect skin’s stem cells from this pollution and stress. The giant sea kelp (macrocystis pyrifera) is not only the largest algae, it is also the fastest growing organism on our planet. The giant kelp is sustainably sourced and eco-harvested off the coast of California. The Zeta Fraction process that captures the actives within giant sea kelp is solvent-free, consumes minimal energy, and creates minimal waste. Only natural occurring substances are captured; no external chemicals are used in the manufacturing process. The serum obtained from the process is rich in minerals, sugars, and phlorotannin, which offer skin nutrition, remineralization, and anti-oxidant properties. It’s expected we will see more personal care and skin-care products to protect stem cells coming to market with multiple benefits such as anti-pollution, hydration, skin renewal products and age-defying formulas.